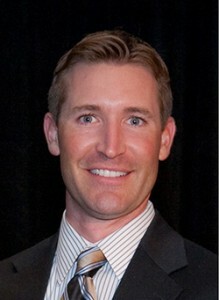 Meet Jason New, vice president of garden management at Southern Botanical in Dallas. It’s hard to learn all you need to know from one person. I can name a few. Presently I spend a lot of time with Jim Cali. He’s my boss here at Southern Botanical. He’s the COO, a brilliant person when it comes to people management. This might be kind of hokey, but I also want to say my mom. My mom taught me all the basic things I needed to be successful when I was growing up. As a Professional Landcare Network (PLANET) Trailblazer, what advice do you most often give? The people you work with are the most important thing. Be willing to pay them well. Do you have a secret recipe to growing your business? We’re never happy with what we’ve created. We enjoy where we’re at, but we always look at it again with a critical eye to say: “We’re not satisfied with where we’re at. Can we do it better?” We’re always in an improvement mode with all systems, trainings, everything. Tell me about Southern Botanical’s use of the H-2B program to recruit college graduates from Mexico. That’s a huge recruitment program that we have for our field team members. We find them by going to Central Mexico—there are two agriculture colleges there. Through H-2B, we bring college graduates who want to be in an agriculture program and teach them how to do landscaping. You have smart individuals who want an opportunity in America and we give them an opportunity to do it. They are some of the best team members we have. That’s a large part of our success. Southern Botanical implemented air spading this year. Has it been effective? immediately versus having to go through layers and layers of soil. What are you proudest of in your career thus far? I’m proudest of the team of people I work with. We started with 12 managers and maybe 60 employees total. Now we have 215 employees. We’re 18 years old. It was a mint lime green 1992 Ford Ranger pickup truck. It was so ugly but everybody loved it. “Hey, Soul Sister” by Train. I’m married to my middle school sweetheart, Molly, and I have two young children—my 6-year-old girl, Lily, and my 3-year-old son, Grant. What do you most look forward to every week? When I wake up on Saturday morning and I don’t have an alarm clock. My kids come wake me up and want to crawl in bed with me. Correction: This story has been updated to highlight the following changes. The print version of this story reads Jim Cali is CEO of Southern Botanical. His title, in fact, is COO.